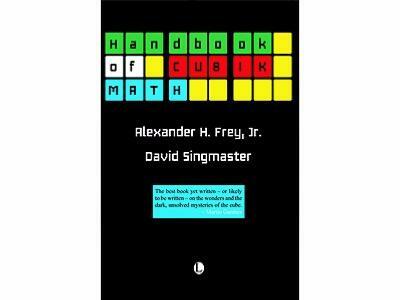 This book, republished in July 2010, explores the mathematics of solving the Rubik's Cube. 'The best book yet written - or likely to be written - on the wonders and the dark, unsolved mysteries of the cube.' Martin Gardner.Drawing on underlying ideas from Group Theory, this book is aimed at people who have 6th form or High School level mathematics.Paperback, 23 x 15.4cm, 204 pp.